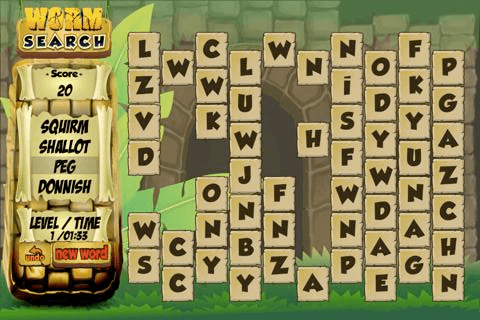 Welcome to Worm Search, a fun twist on traditional Word Search games. 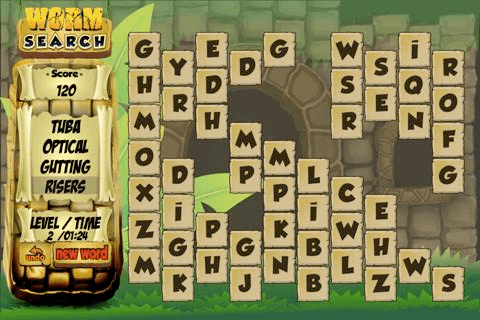 In Worm Search, once you find a word, the letters remain missing, creating a dynamic board that always keeps you on your toes. 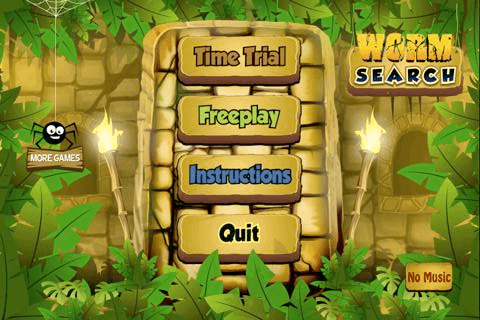 Find up to four words per round to score points, get a word multiplier, and advance to the next level. 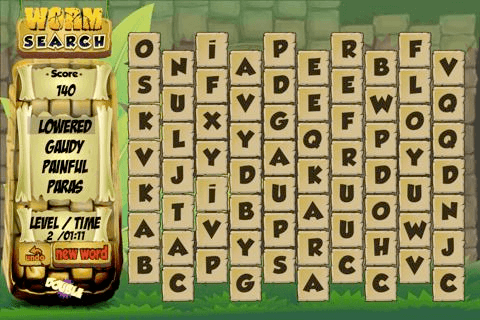 If you like word search games, word worm, bookworm, scrabble, or anagram games, you’ll love WORM SEARCH! !